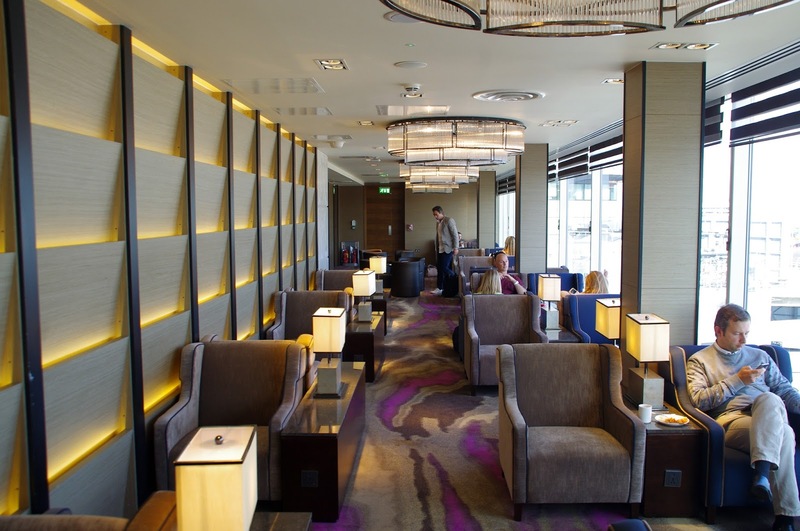 We flew out of Heathrow on our recent trip to Sydney and started our journey off with a visit to the Plaza Premium Lounge in Terminal 4. 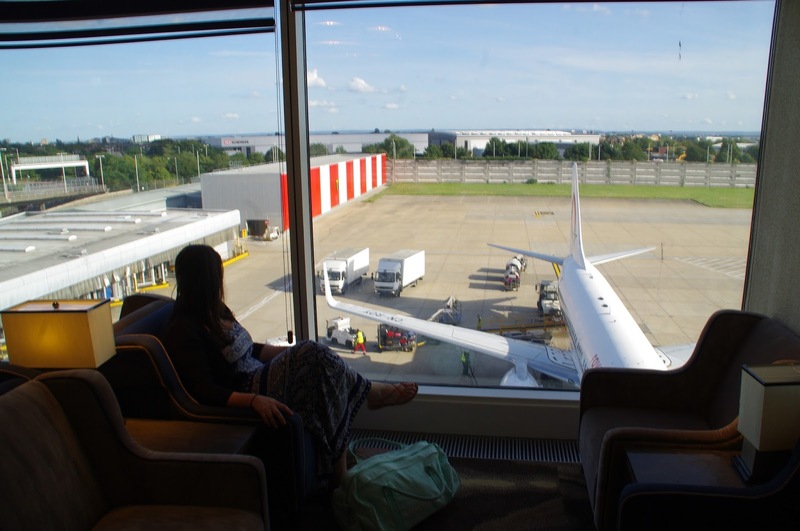 Recently we have been booking ourselves into airport lounges prior to our trips as we find it a very relaxing and enjoyable way to start off our holiday. 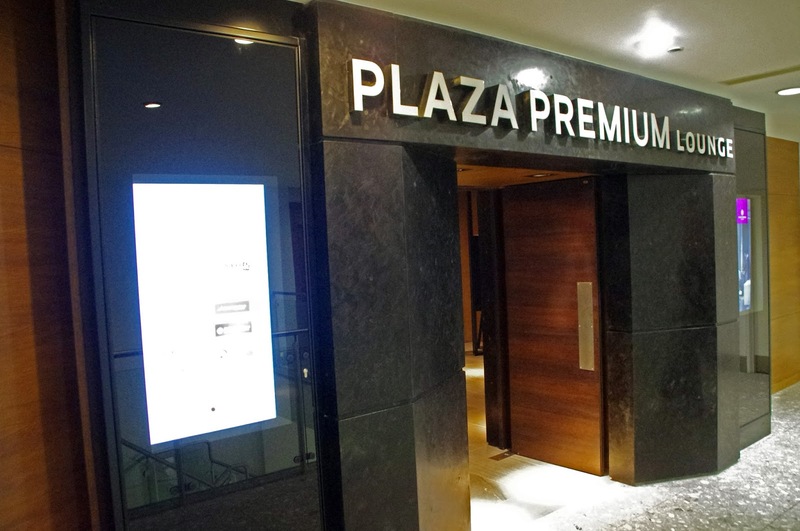 The Plaza Premium was one of the best we have experienced and it truly was a very luxurious, relaxing and enjoyable way to begin our very long journey to Australia. 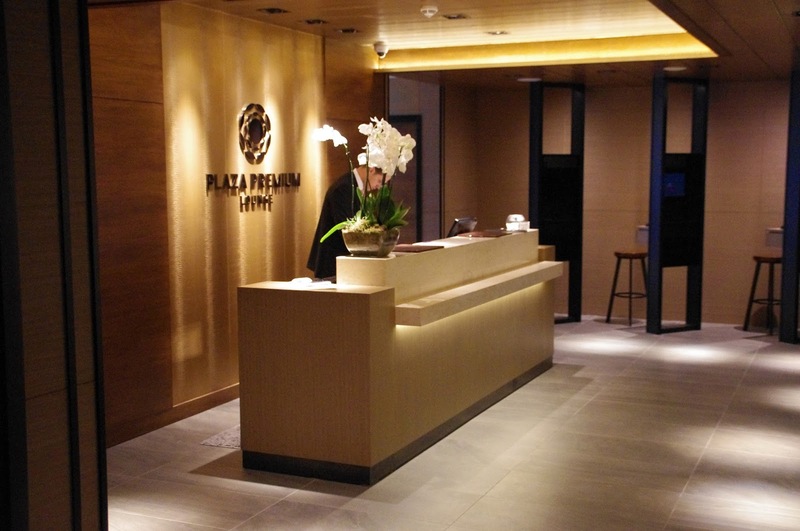 Plaza Premium is the first independent lounge to be opened in London’s Heathrow Airport Terminal 4. It is located above Gate 1 and is a spacious, relaxing lounge for those who wish to escape the hustle and bustle of the airport and relax before their flight. 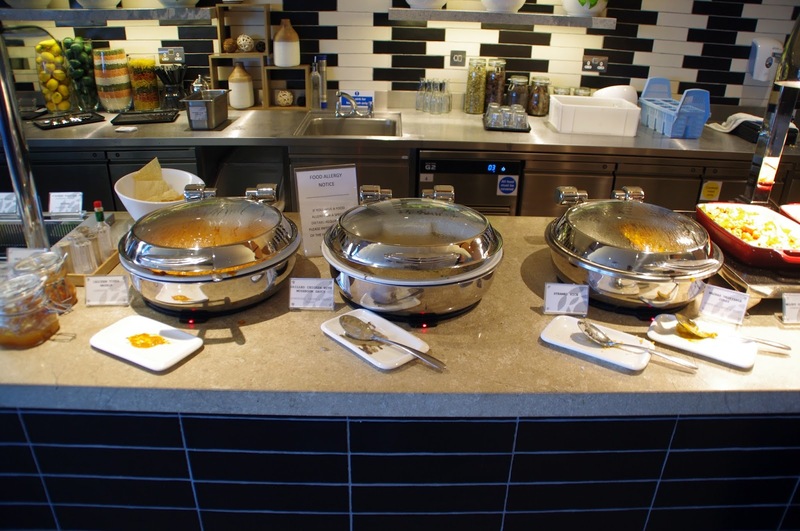 The lounge offers travellers a bouquet of services and facilities including comfortable seating, extensive choices of food and beverages, complimentary Wi-Fi and international newspapers and magazines. 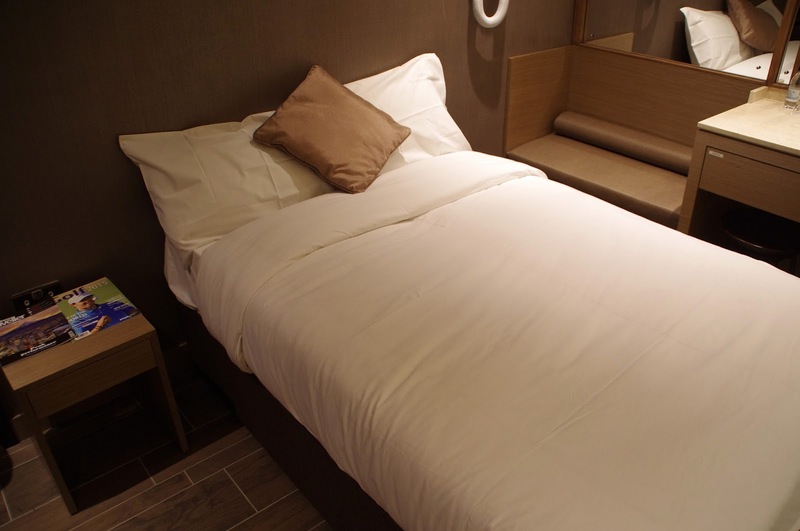 Travellers can also enjoy a nap in exclusive Private Resting Suites and a refreshing hot shower to keep you refreshed during your journey. 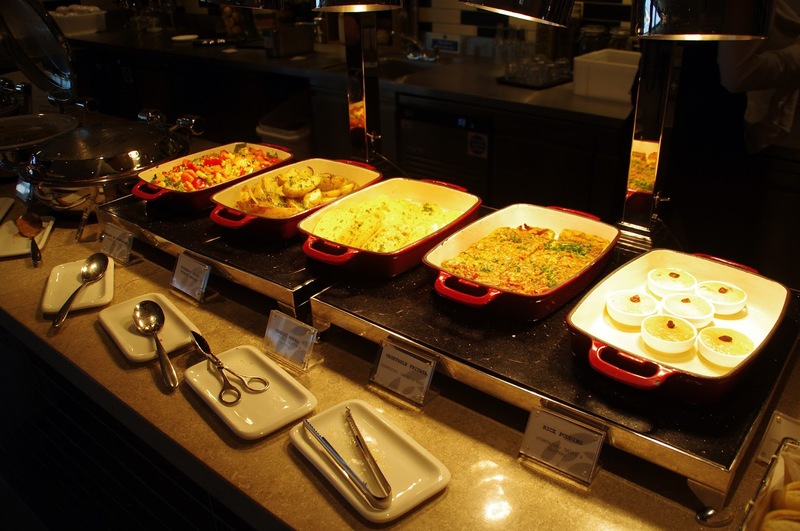 We were welcomed by the friendly reception staff as soon as stepped into the lounge and were shown around and advised of all the services and facilities available. 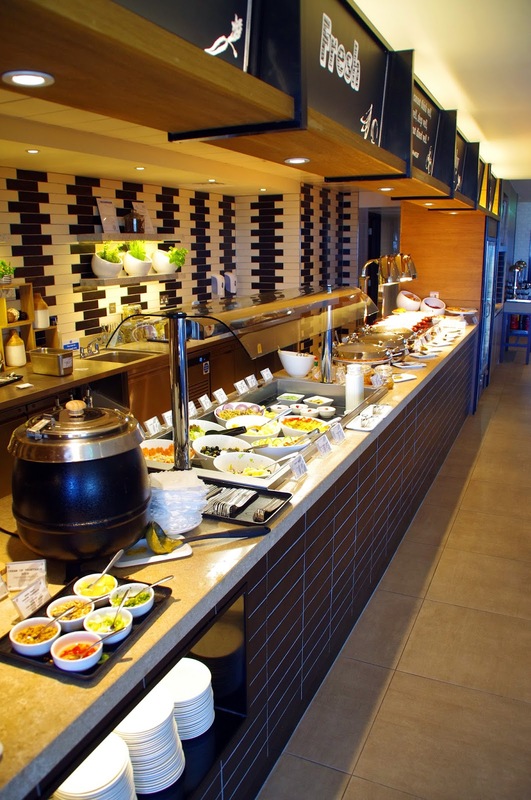 The staff were very friendly and helpful throughout our entire time in the lounge. 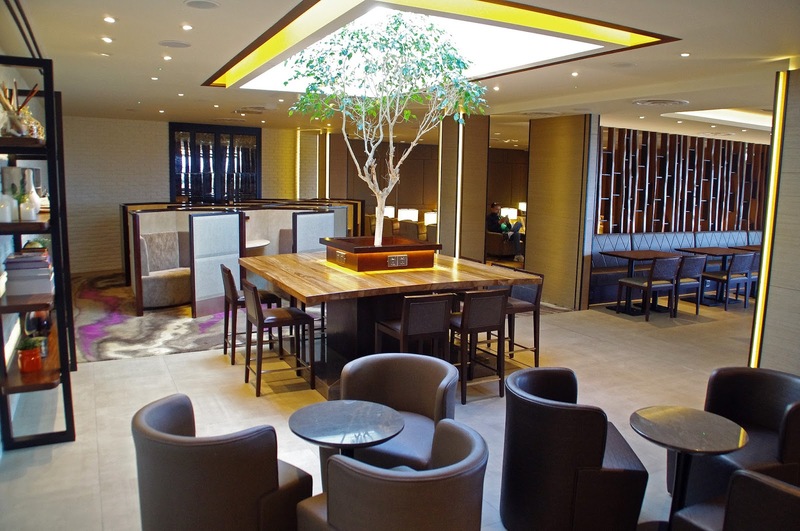 The Plaza Premium Lounge is light, airy and spacious. Natural light floods through the floor-to-ceiling windows and skylight, making it a relaxing place to rest or work. There are productivity pods for those looking for peace and quiet to work. 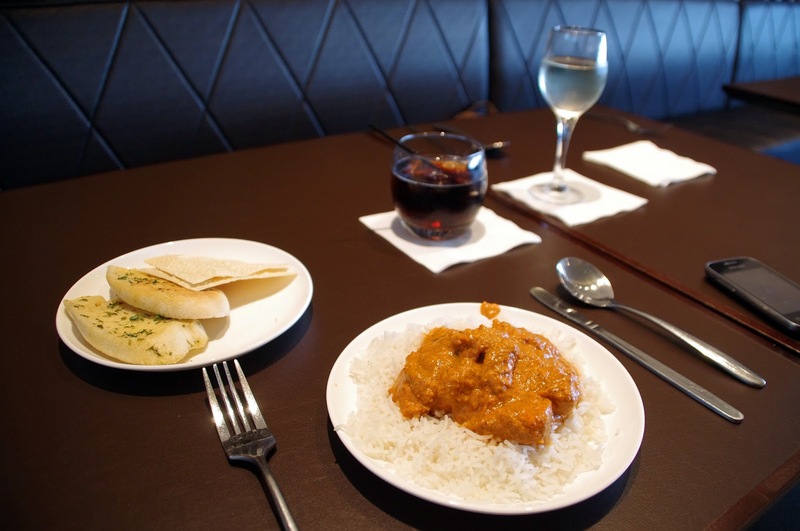 The decor is very relaxing and there is plenty of lounges, tables, chairs and seating available. We enjoyed the runway-side seats where we could watch endless planes taking off and landing. 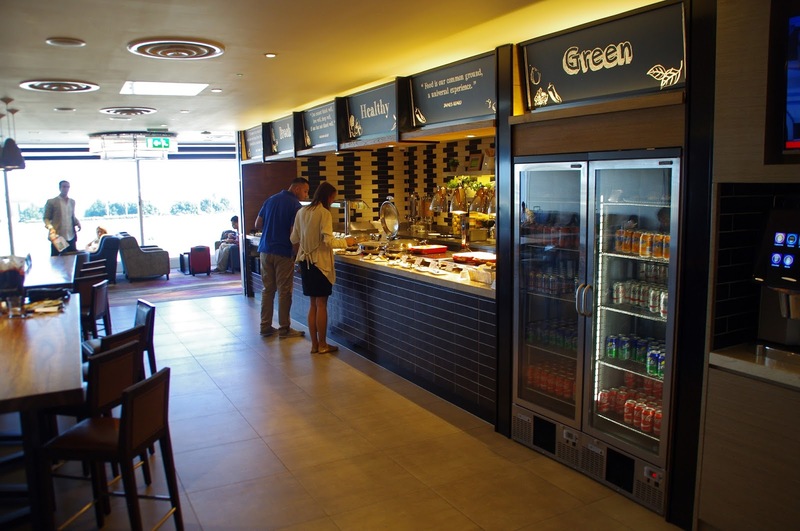 Connectivity is key in the lounge with complimentary Wi-Fi throughout and plenty of plug sockets for tablets, laptops and mobile phones. The Wi-Fi was very fast and efficient throughout our stay in the lounge which we greatly appreciated. 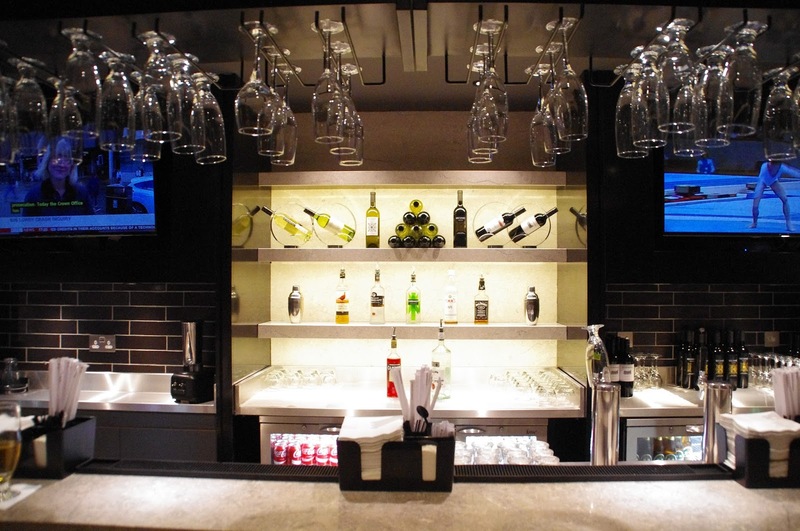 The bar is separate from the lounge and has been elegantly designed with hues of yellow and grey. 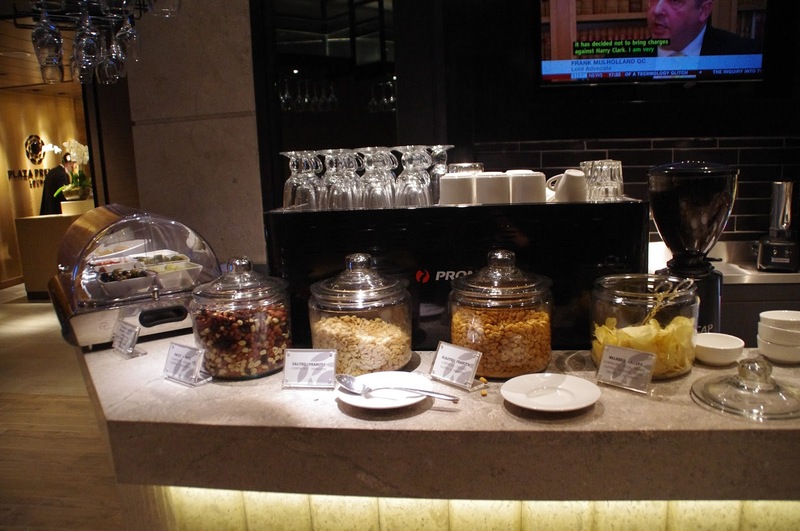 The bar area is classy and elegant and there is a wide range of beverages available and a large selection of bar snacks! 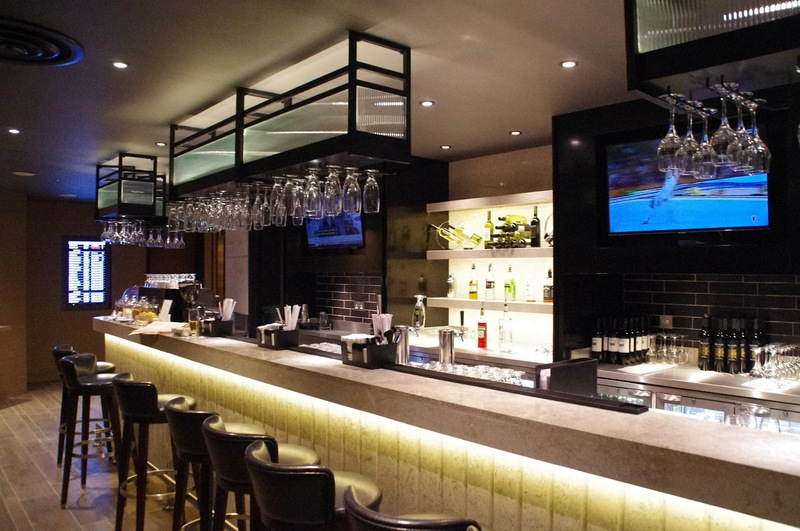 The bar also showcases Sky Sports which will please many patrons and we found the bar staff very helpful, friendly and efficient in serving both us and other customers who ordered during our time there. 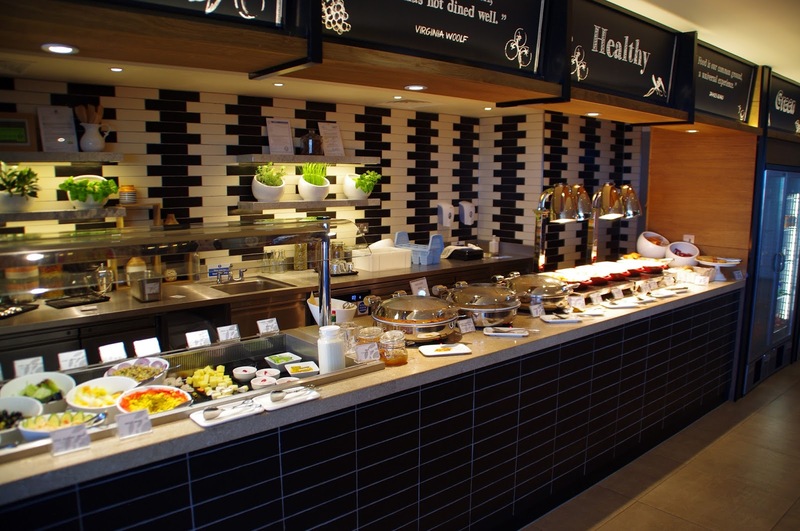 The black and white tiled kitchen area with live cooking station and buffet is at the centre of the lounge and offers a wide selection of both Asian and European/Western style dishes. 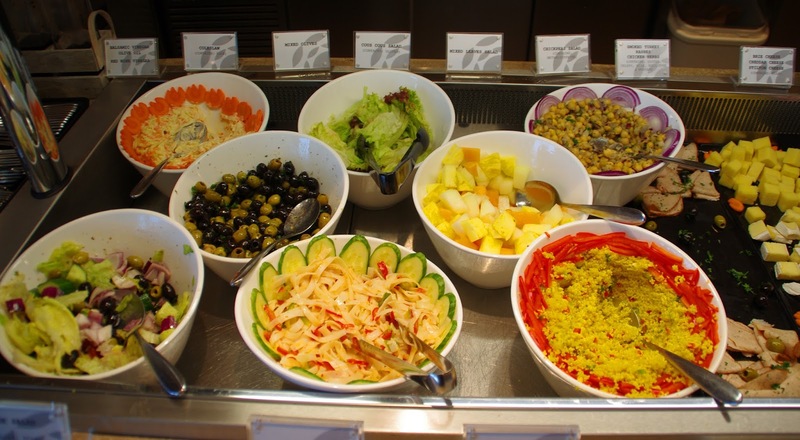 The Plaza Premium Lounge is also the only lounge in the terminal that offers halal prepared food. The food was delicious! 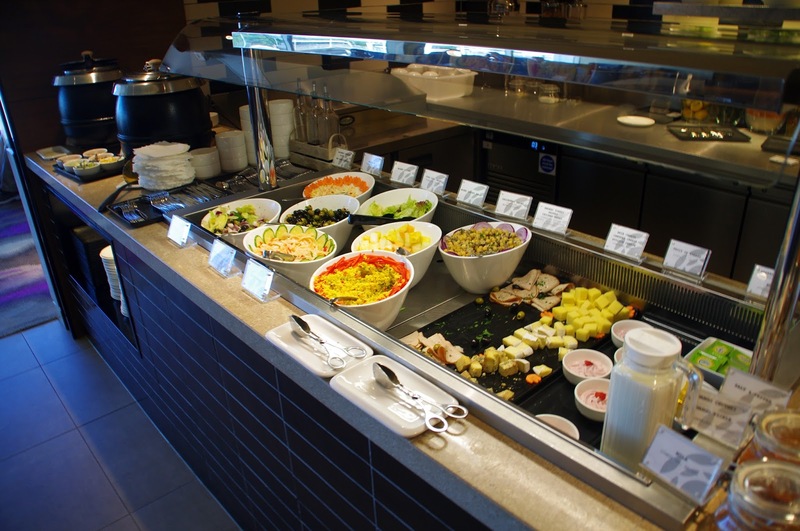 It was all freshly cooked, regularly replenished and there was a wide variety of options available. 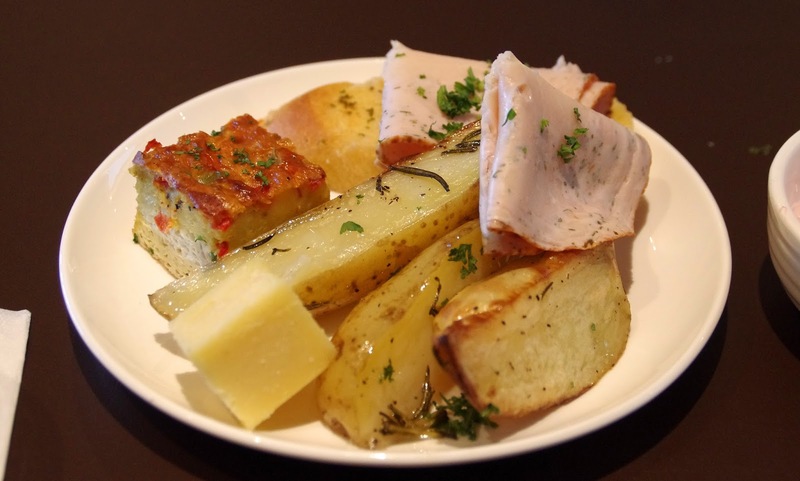 We certainly did not leave hungry! 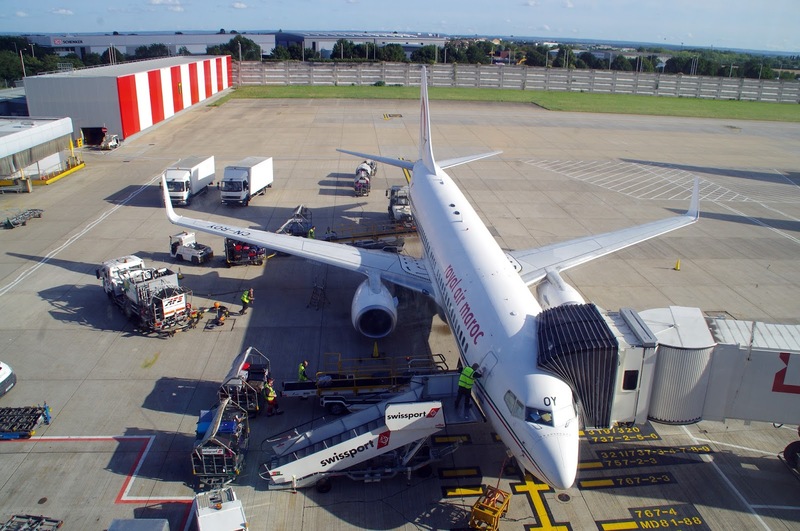 There are also four shower rooms for travellers who want to refresh themselves before their onward journey and with many long-haul flights departing from Terminal 4 this is sure to be very popular with guests. For guests wanting further privacy, the lounge has a VIP area with a separate entrance to the lounge and three private resting suites. Guests can use the area for meetings, spending time with family and friends, enjoying a relaxing massage or simply to sleep in the private resting suites. 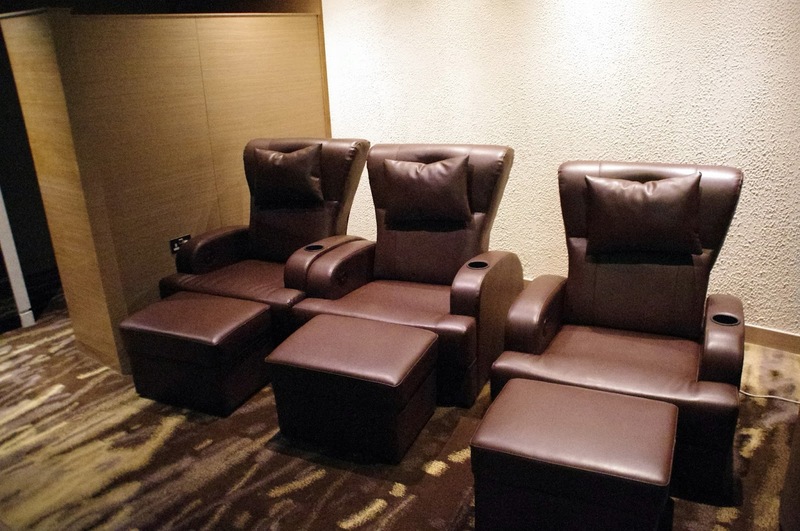 The relaxation facilities in Plaza Premium are excellent. I was very impressed, although you should note that there are additional charges for spa treatments and for the day rooms (but all guests are welcome to use the showers)! 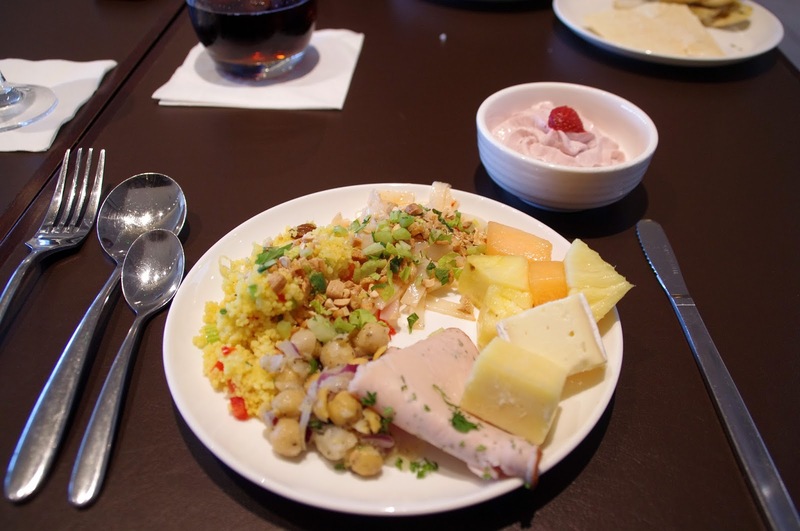 We had a great start to our long journey with our visit to the Plaza Premium Lounge. 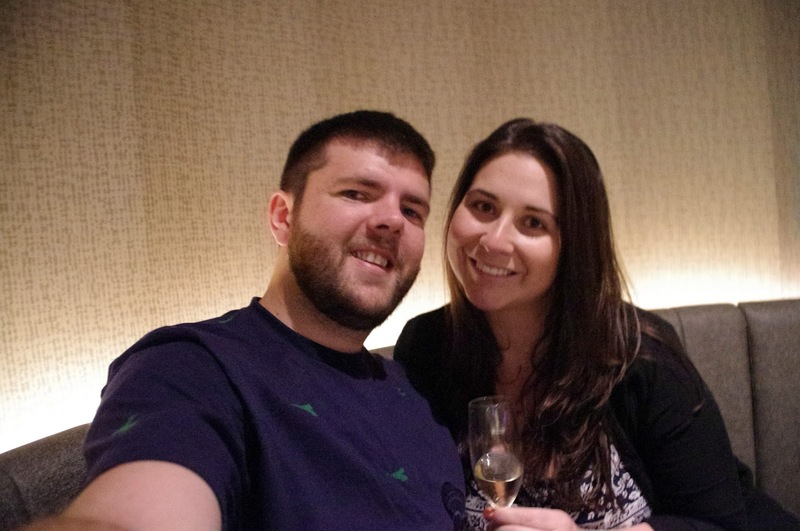 It is a very relaxing environment that allowed us to relax, have a few drinks and dinner and enjoy ourselves before our flight. I’d highly recommend booking into the lounge if flying from Heathrow’s Terminal 4. 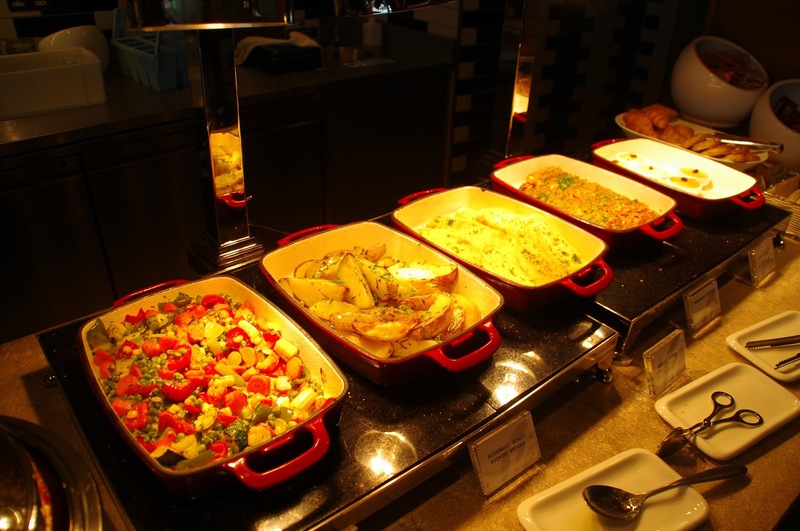 The elegant lounge is modern with excellent facilities, services and amenities and the staff are friendly and helpful. It was a perfect, flawless start to our trip! 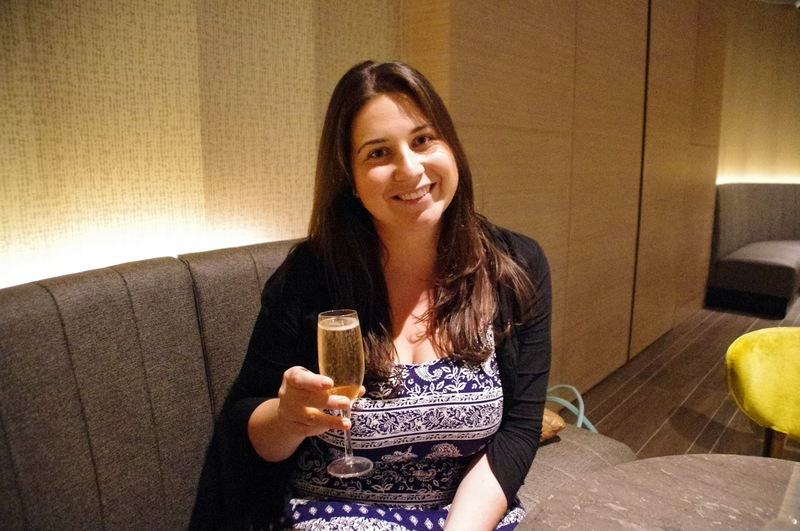 The Aussie Flashpacker experienced Plaza Premium Lounge as a guest.